Ships tomorrow if you order in the next 16 hours 17 minutes. Chlorella Green Superfood by NOW is a natural detox support supplement that is rich in chlorophyll, beta-carotene, RNA and DNA. Chlorella delivers the natural nutrient profile found in Genuine Whole Foods. Chlorella is a green single-celled microalgae that contains the highest concentrations of chlorophyll known. Chlorella also supplies high levels of Beta-Carotene, Vitamin B-12, Iron, RNA, DNA and Protein. The cell wall in this high quality Chlorella has been broken down mechanically to aid digestibility. 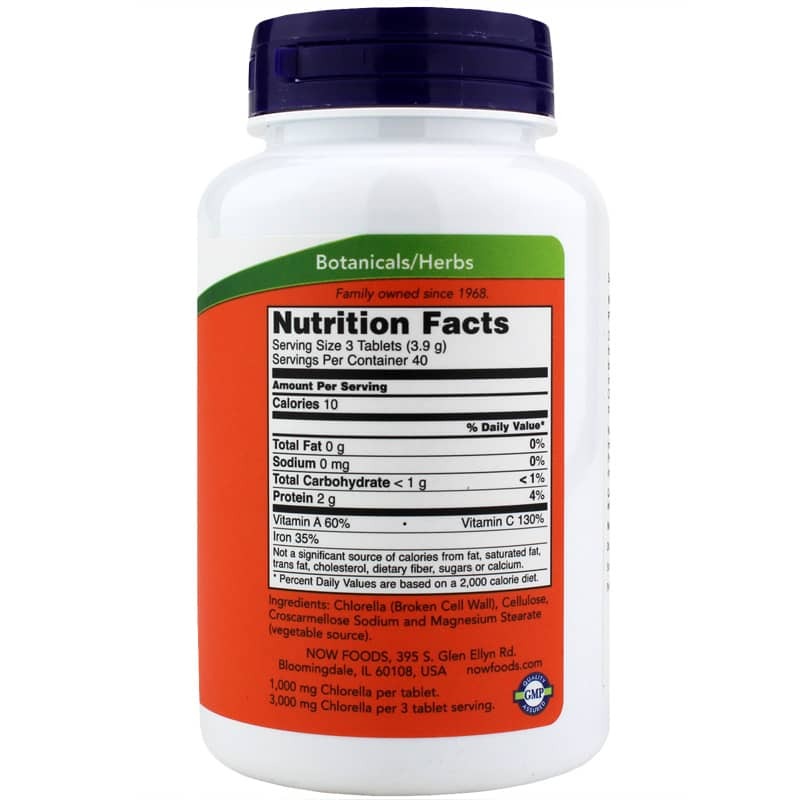 Ingredients:Chlorella (broken cell wall), cellulose, croscarmellose sodium, magnesium stearate (vegetable source). Not manufactured with: yeast, wheat, gluten, soy, milk, egg, shellfish or tree nut ingredients.Vegetarian/Vegan Product. 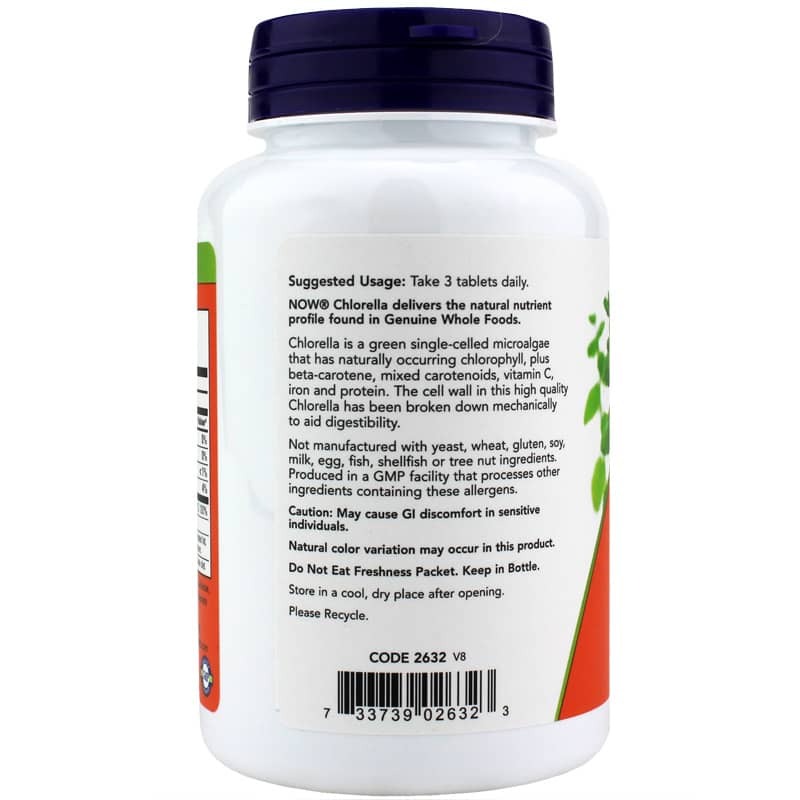 Adults:As a dietary supplement, take 3 tablets daily. Caution: May cause GI discomfort in sensitive individuals. If you are pregnant or nursing, please consult your healthcare professional before using this product. Keep out of the reach of children. 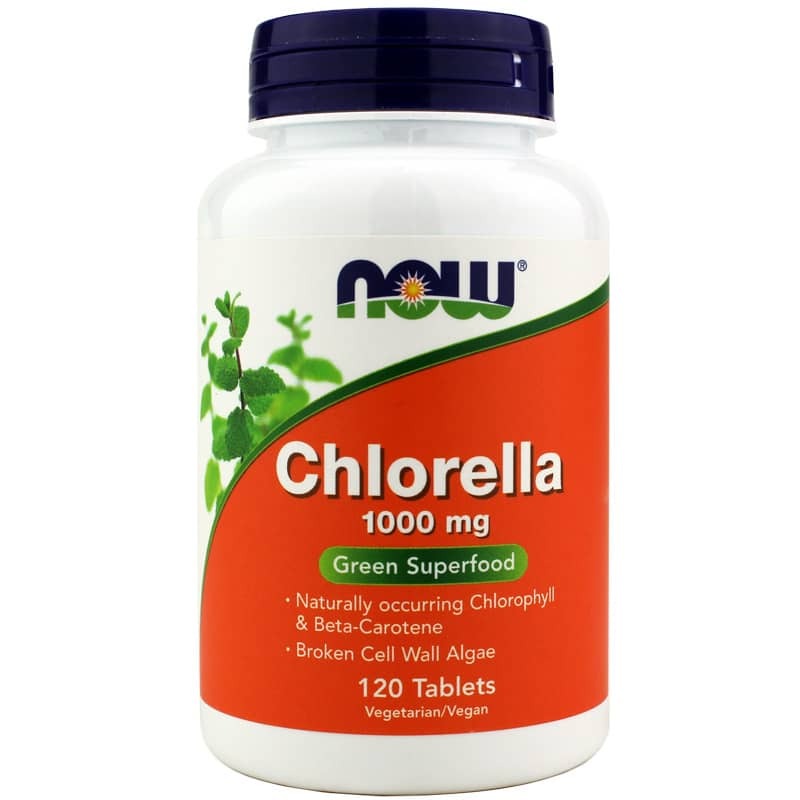 This Chlorella is the best deal i've come across, great quality. Have been ordering Chlorella from NHC for few years now, all the time very professional and fast with the orders. Very friendly staff. Love shopping at Natural Healthy Concepts! Prices are competitive and the service is the best around!